Over 0.5 km long track. 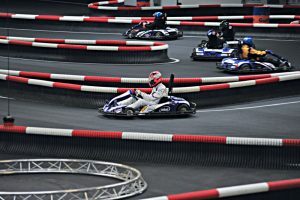 The best hall kart track in Europe, only one of this type in Poland – it is at your disposal. The hall is a self-supporting construction without any pillars inside. The spread of the hall is 61 metres and it is 80 metres long. what is more, a professional timing system. About 4 rides last about an hour. Due to safety of children, adults do not drive at the same time. There is no possibility to make a reservation of a ride. The tickets for individuals are sold all the time. Before the first visit on track you need to register. 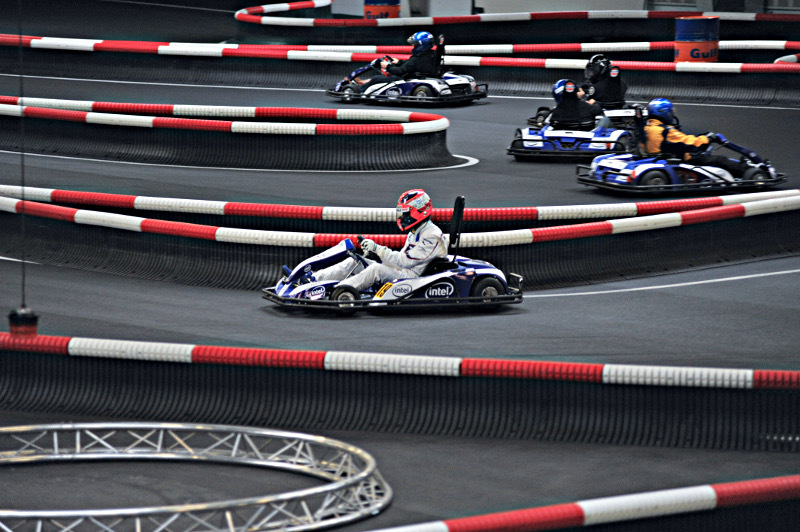 After the registration you will receive a Driver’s Card that authorizes you to use the track. The electronic registration system in the form of a standalone kiosk is situated at the reception of the Silver Gokart Center, next to the elevator. For registration you need the PESEL number (in case of the minors, the guardian’s PESEL) or the ID passport number (foreigners). 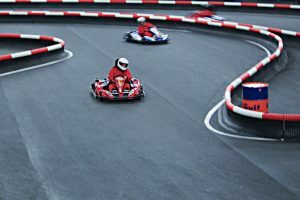 The personnel may ask you to show an identity document with a photo of a person who wants to use the track. A child drives by himself/herself, if he/she is over 8 years of age and is min. 1,30 m tall, after a prior reading of the track regulation by the child and a parent – guardian. The children’s rides are organized until 7 p.m.
Children and teenagers under 18 years of age may register at the Track Reception ONLY with a parent or legal guardian. A parent or a legal guardian MUST accompany the child at the SILVER reception and sign the Register Form. There is no possibility of registering and letting minors on the track without knowledge and consent of their parents or legal guardians. Just visit the reception and show your driver’s card. In order to check your achievements, statistics and times of rides on-line , just enter your e-mail address while registering at the raceclub application. 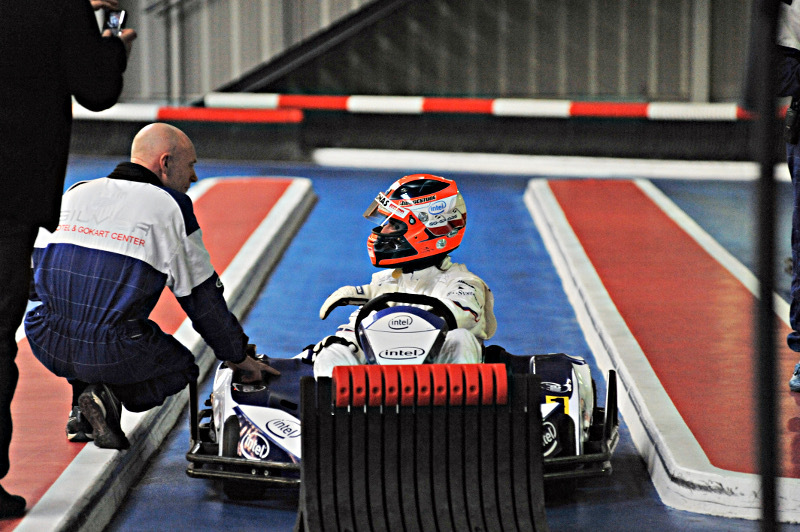 The karts are only the approved vehicles guaranteeing maximal safety to the users. 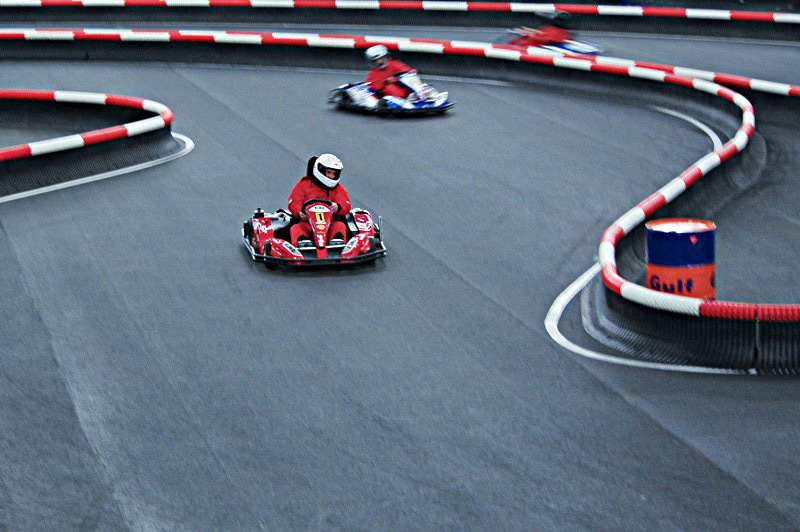 The disc brake, stop light, possibility of electronic control of the karts on track and full helmets – all for safety. 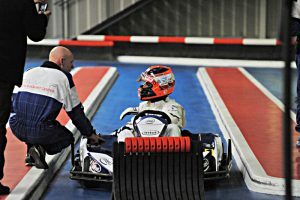 Before you get in the kart and enter the track for the first time, we guarantee a professional training that will prepare you for the ride. The protective helmet is free for the time of the ride. JUNIOR DRIVE 2 (2 x 8-minute ride + balaclava packed in an elegant box) – 70 PLN, voucher valid for 60 days from the day of purchase. DRIVE 2 (2 x 8-minute ride + balaclava packed in an elegant box) – 90 PLN, voucher valid for 60 days from the day of purchase. Feel invited to make a reservation by phone or email.